Developing the technology and improving the scientific knowledge needed for the sea-based culture of a novel aquaculture species, the European lobster, Homarus gammarus. 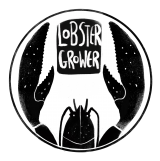 The initial Lobster Grower project began in 2014 to investigate the potential of using sea-based container culture (SBCC) systems as a low-carbon method of rearing lobsters with no feed costs. This project designed and developed a SBBC system specifically designed for nursery and on-growing of lobsters that could potentially be used to rear juvenile lobsters to a marketable size. The results and outcomes from Lobster Grower, such as setting up a marine licence for establishing a pilot-scale site, has lead directly into the second stage project, Lobster Grower 2 which started in February 2016. Investigate the potential to on-grow lobsters in sea-based container culture (SBCC) systems. Assess innovative anchoring/moorings systems which will be developed and used in conjunction with the new SBCC container design to develop optimum SBCC systems. Create the world’s first pilot-scale clawed lobster culture site. Over a 3-year period approximately 45,000 juvenile lobsters will be deployed in containers. Frequently monitor lobster growth, survival and health throughout the duration of the project. Investigate the environmental impact of the culture site. Assess the health and welfare status of cultured animals throughout the project. Produce an aqua-economic model to de-risk future investment in the lobster aquaculture sector. Road-map future barriers to development and highlight potential solutions. Establish an Industrial Steering Committee to help guide the project outputs and potential future of the industry streamlining the progression into follow up projects.